It was once known as the Silk Road, the route along which trade first flourished between China and Europe, bringing silks, spices, Chinese porcelain and even gunpowder from the east. But on Wednesday the arrival of a freight train at Barking, in east London, signalled a new chapter in the history of the centuries-old trading route. The East Wind train pulled up at its destination at just after 1pm, following a 16-day journey, to become the first direct freight train linking China and the United Kingdom. Its 34 wagons, carrying 68 containers loaded with household goods such as clothes, socks, suitcases, purses and wallets worth a total of £4m, travelled 7,456 miles, making it arguably the longest train journey in the world. 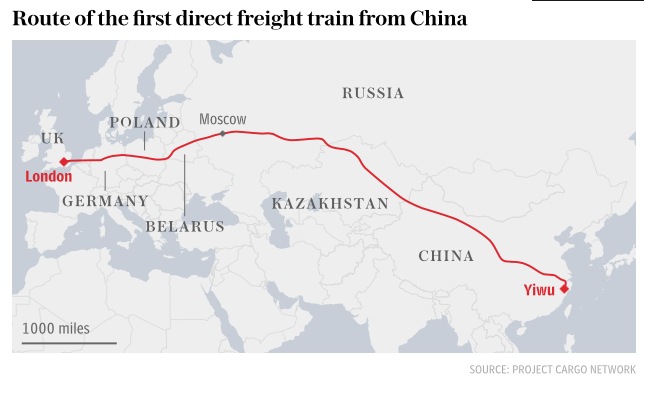 After setting out from the Chinese industrial city of Yiwu, the East Wind train crossed Kazakhstan, Russia, Belarus, Poland, Germany, Belgium and France before passing under the Channel and arriving at the London Euro rail freight hub, close to the River Thames. Waiting for the East Wind train, which was by now garlanded with both union flags and the red flag of the People’s Republic of China, were dozens of dignitaries from both countries, hoping the service will herald a new era in Anglo-Chinese trade links. Its arrival coincides with even greater emphasis being placed on Britain’s export business with the wider world following the referendum vote to leave the European Union. But the idea to launch the service has its origins in Chinese president Xi Jinping’s “One Belt, One Road” strategy to connect Asia with Europe and Africa via the old Silk Road trading routes and increase the size of his superpower’s already vast export market. Indeed the train’s name is no mere flight of fancy, but is taken from Chairman Mao’s dictum: "The east wind will prevail over the west wind." As part of the Chinese government's strategy, the China Railway corporation has already begun operating rail services to 14 European cities, including Madrid and Hamburg, with more than 1,800 services completing the journey since their launch. Most of the Chinese produce on board comes from small and medium-sized factories and workshops in Yiwu, a traditional hub of manufacturing in China’s Zhejiang province. But the containers do not go back empty. On board for the return journey from Spain are hams, cheeses and wines, with German beer among the goods now being exported to China by rail. It is hoped that when the train makes its return journey from Barking to Yiwu in a few weeks it will do so carrying British-made goods and produce, including cars, machinery and food items. 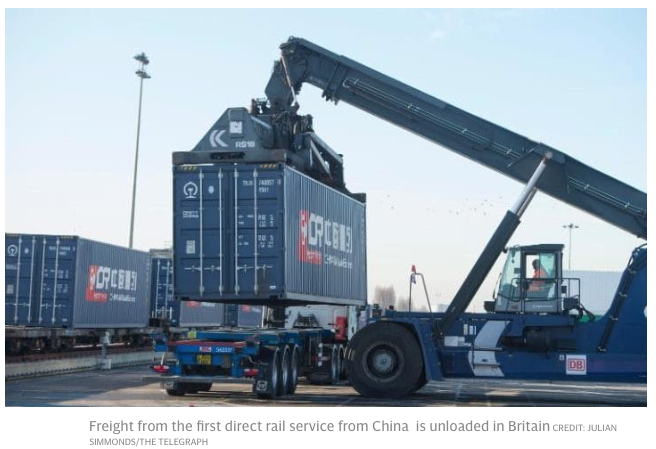 Oscar Lin, manager of the new freight service's UK agent Onetwothree Logistics, said: “This cargo train service highlights the important trade partnership between the UK and China post-Brexit. There are practical difficulties to overcome. Because of the different railway gauges encountered in several of the countries it crosses, one single train cannot travel the entire route and the containers have to be unloaded and placed onto different wagons at various points. But the cost is still cheaper than shipping the goods by air and quicker than getting them there by sea. Fang Xudong, vice general manager of Tianmeng Industrial Investment, said: "The fast train route between Yiwu and London takes 30 days less than maritime transportation, while only costing a fifth of air transportation." Woah! 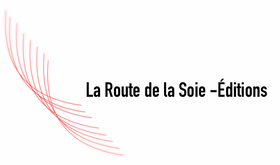 I'm really digging the template/theme of this site. It's simple, yet effective. A lot of times it's hard to get that "perfect balance" between usability and visual appeal. I must say you've done a fantastic job with this. Additionally, the blog loads super quick for me on Firefox. Superb Blog!